One of the most conspicuously absent standard interfaces on the Raspberry Pi is built-in support for 802.11 WiFi wireless LAN networking. 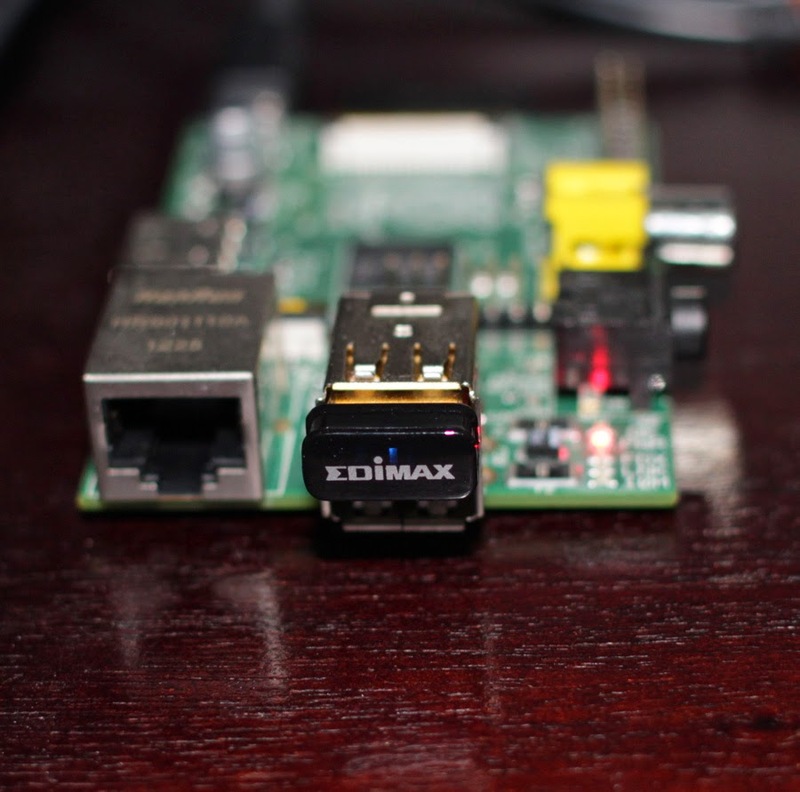 A low-cost, low-power way to remedy this is for example the Edimax EW-781Un USB WiFi adapter which plugs easily into one of the USB ports on the Raspberry Pi and is supported out of the box by the current Raspbian distribution. It seems to be very popular for use with Raspberry Pi and is available for about $10 in many places where Raspberry Pi are sold. substituting <SSID> with the "name" (SSID) of the wifi network and <wifi-key> wifi access code or password configured in the router. After rebooting or running sudo ifup wlan0, the interface should be connected and configured with an address from the gateway via DHCP. Configuring an EW-781Un adapter as a WiFi access point is not as easy, as the RTL8188CUS chipset is not supported by the standard version of hostapd. Some tutorials like here or here are explaining how to install hostapd and replace it with a custom version which supports the chipset. One of the simplest use-case for an access point is to connect a tablet, phone or laptop to a Raspberry Pi as a console or controller for some application which doesn't require Internet access - e.g. a robot or a monitoring device of some sorts. To allow most standard devices to connect to the Raspberry Pi access point, we have to configure a static IP address on the interface and set up a DHCP server to push IP interface configuration to the devices which are connecting. Dnsmasq is a small footprint DHCP server and DNS server/proxy for small networks connected to the Internet masquerading behind a NAT firewall.